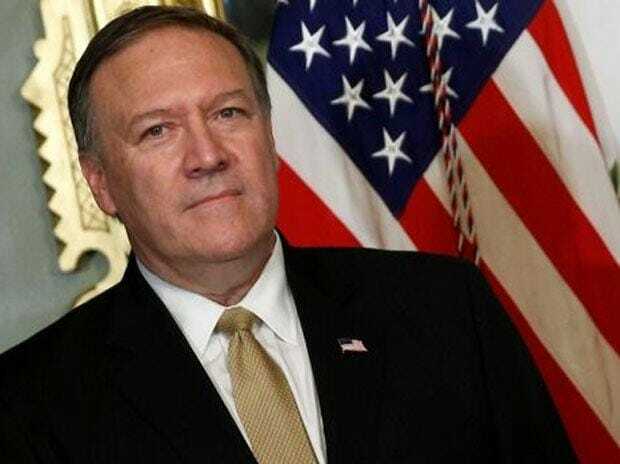 The United States is trying to find a common ground between India and Pakistan, US Secretary of State Mike Pompeo has said, describing Kashmir as a long-standing battle between the two South Asian neighbours. Pompeo cited the India-Pak dispute and the Israeli conflict as recent examples of America's negotiating diplomatic skills, about which he was asked at the "Future Farmers of America" event in Iowa on Monday. "How do you try to find a common ground, negotiate on behalf of the United States?," the top American diplomat was asked. "So if you take a look at the most complex problems -- what's a good example? The debate to try to figure out how to get Middle East peace between the Israelis and the Palestinians, or in the news recently, the longstanding battle in Kashmir between the Indians and the Pakistanis. The work that we do as diplomats is to try and find places where there's common ground," Pompeo told farmers. "There are places where there's -- you all do this too in your everyday life. There are clearly things that are different. In some cases, you see value sets that are different. In some cases, there are territorial disputes. In some cases, the arguments arise out of faith. Sometimes they're fighting over resources, right, not just land, but wealth, whether that's oil underground or natural gas or water, whatever it may be," he said. America's effort, he said, was to figure out the places where there was a real overlap. "And then it is to convince those -- sometimes we're in the middle of it, sometimes we're just trying to help bring resolution to a problem or to reduce violence in a particular conflict -- it's to make the case that nobody's going to get everything," he said. "This is -- was my joke at the beginning -- in that indeed each party's going to have to accept something less than perfection, something that frankly they think they deserve and just not going to end up with, but convince them that over some extended period of time, that the outcome that everyone's looking for -- if they can find a way to work together to achieve it -- will deliver better outcomes for each of them. May not be perfection, but it will be better," Pompeo said, offering an insight into his diplomatic negotiating skills.